Although menopause is very much a normal, healthy and natural transition for every woman, there are still instances where you should see a doctor. In fact, most women should have at least a couple of scheduled visits during this time to ensure they are aware of the physical and emotional changes of menopause as well as the new risks related to the loss of oestrogen. However, most women will find that they need to see their doctor when they first begin experiencing menopause symptoms and after, to ensure that they have reached menopause and can make appropriate changes such as stopping birth control. Others will only need to see their doctor in between those two times when they need medications monitored or they suffer a symptom they are unable to handle through natural or over-the-counter methods. A small number of women may also experience symptoms of another health condition that occurs at the same time as their menopausal transition. Sometimes, the symptoms of menopause can become so severe and disruptive that you are simply unable to handle them anymore. While challenges during this time are to be expected, you should not be suffering in silence. See your doctor about the appropriateness of treatments such as hormone replacement therapy (HRT) or treatments for symptoms such as vaginal dryness, which includes gels and creams. You may even choose to see a naturopathic doctor to obtain access to natural treatments for menopause. Now is also a good time to look to your friends and family who have already experienced menopause. They may be able to provide information about easily accessible, natural-based treatments that worked well for them. Although each woman is unique in her menopause transition and symptoms, there are still a number of treatments that can be helpful to a range of different women's health needs. Virtually every symptom of menopause can be a symptom of another condition. Generally, when you experience several symptoms of menopause, it is a reasonably clear indication that you are approaching menopause. However, if you only suffered from irregular periods, for instance, this could be a sign of a reproductive disorder or another hormonal condition. In this sense, you would want to see your doctor, particularly if you are not within the average age range for the onset of menopause symptoms. Menopause is still a term that is used to refer to all of the changes leading up to a woman's final period. However, the term has a clinical meaning, which is that a woman has reached menopause the day of her last menstrual period. To determine that it is a woman's last period though, a doctor will make this diagnosis retrospectively. In this way, a woman is considered to have reached menopause when she has not experienced a menstrual period for twelve consecutive months. At this time, she would then have reached menopause and would now be in postmenopause. The reasoning behind this method of diagnosis is to ensure that a woman is not simply skipping menstrual periods for a few months, which can happen during the menopausal transition when a woman suffers from irregular periods. 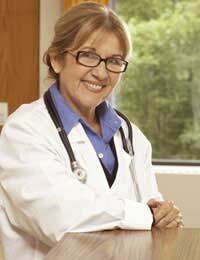 To ensure that you have reached menopause, you should be seeing your doctor around this time. Until your doctor has clearly indicated that you have reached menopause, you will need to continue to use birth control. Whether you ultimately require regular communication or not with your doctor during your menopausal transition, it is important that you have a solid and successful relationship with your doctor. You can also visit a well woman clinic if you prefer specialised advice. In a well woman clinic, you can be seen by a female doctor, who will provide medical services to you during your menopausal transition. The needs of a menopausal woman can be sensitive and challenging but a good doctor will listen empathically and will provide accurate, caring advice and recommendations for women's health treatments. If you do need your doctor's support, an excellent doctor can make all the difference in helping you through the menopausal transition.